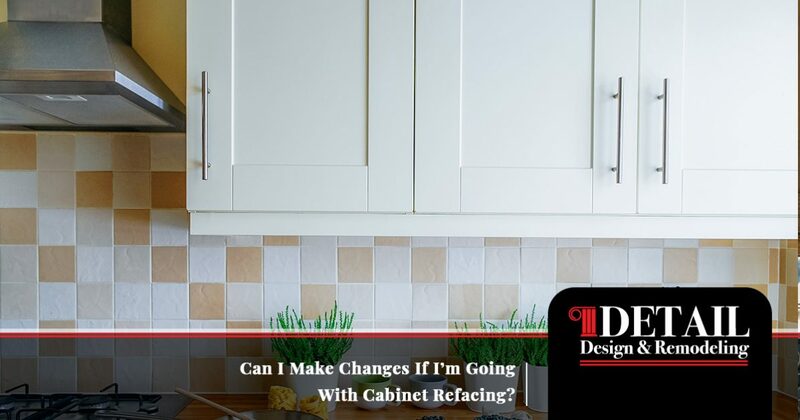 Cabinet Refacing Atlanta: Can I Make Changes During Cabinet Refacing? Can I Make Changes If I’m Going With Cabinet Refacing? If your kitchen is looking a lot worse for the wear these days, it may prove very beneficial to begin planning for home improvements. Kitchen renovations represent the perfect time to invest in upgrades you’ve been thinking about over the previous years. From expanded cabinet space to customized sections for a new appliance, there are many ways to customize your kitchen to make it your own haven for a variety of daily activities. One service that is gaining momentum is kitchen cabinet refacing. Instead of tearing out your old cabinets, you can give them a facelift, replacing the fronts while leaving the boxes intact. This service is both efficient and affordable. Detail Design & Remodeling is proud to be your team of trusted home remodeling contractors in Georgia, offering professional cabinet refacing to Atlanta and beyond. We’re here to work with you to deliver the best outcome for your investment, specializing in services from custom cabinets to simple cabinet refinishing. No matter what your budget or style is, our team can work to provide professional outcomes to meet your high expectations. Yes! Unlike other home remodeling companies who offer a one-size-fits-all approach for cabinet refacing, Detail Design & Remodeling is here to work with you to provide personalized solutions to match your vision for the perfect kitchen. Our home renovation experts have the skills and tools for a wide range of projects, with your creativity as the only limit on what can be done. Lowering the bar. A funny phrase, the reality is that many homes have a raised bar over their countertops. Our home remodeling contractors can help you to lower your bar to match the countertop and expand your continuous surface space. Removing a trash compactor. If you’re tired of that old trash compactor in your kitchen, now may be the perfect time to mix it up! One project we regularly take on is swapping that old piece of metal out for a trash bin. Expanding your cabinets. Another regular service through our cabinet refacing is adding a larger cabinet above your refrigerator. This can leave you with a bigger, deeper cabinet for storage, and a side panel can help to minimize the visual space of your fridge. Cooktop modifications. We can also customize your cooking space, such as adding a microwave to open up additional counter space. Some customers have benefitted from removing their cabinet over the stove to install a wood hood or a metal hood complete with the chimney. Our contractors are here to offer a customized cabinet refacing job for your kitchen. We’re dedicated to performing the best services for amazing outcomes instead of other companies who look for an easy job and leave as soon as possible. We know that one solution is not practical, and our team will work with you for custom cabinet services. Best quality. From real-wood veneers to formaldehyde-free lacquers, our custom cabinet company is focused on comprehensive quality through each stage of our services. Best function. Your kitchen can feel like new with improved functionality and design versatility. Over the lifetime of your kitchen cabinets, small upgrades can lead to major improvements! Best results. 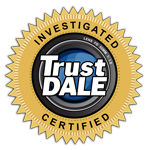 We’re only as good as our reputation, and our team is here to build on the value and trust that our customers put in us. We’re here and available to help you with the planning, design, and installation of your kitchen renovation project. While we specialize in cabinet refacing for Atlanta residents, our team is equipped and able to provide a comprehensive set of remodeling services for your home. Contact us today to learn more or to receive a quote for your kitchen project!